Thank you for taking the time to read my profile page. Being a supportive clinical social worker is one of the greatest joys in my life. I enjoy listening to others and helping them to find a way through tough times. 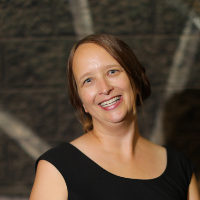 My experience includes a Master's Degree of Social Work from the University of Utah and for almost 20 years, I have worked in child and family services. Currently, I counsel the chronically ill on end of life decisions and teach at a local university. I just "retired" after 15 years of helping teens and their families try to understand how to resolve conflict and learn to communicate better. I also have a small private practices where I help women in tough transitions such as divorce and family issues. In my clinical practices and experiences, I have had the privilege of helping families overcome struggles with teens are struggling through issues of adolescence and mental health problems. Parents sometimes believe that they are the only parents going through tough with teens. I enjoy supporting parents in the journey as hard as it might be sometimes. Also, I have a passion for helping those navigating a new life in sobriety. Addiction recovery is one of the bravest things that I have seen people overcome and I like to help people stay on the path of recovery. All my clinical practice incorporates cognitive behaviors strategies with a very positive Rogerian approach. Those I treat will be treated with respect and clearly set boundaries. I want to help others by starting to help them where they want to begin. I believe in my clients I help and I want them to be happy and successful. I can help my clients by setting goals, open communication,and unconditional positive regard to help with hard life situations. I wish you the best on your journey and hope to have the chance to help you! A patient and kind person offering valuable techniques that lead to a healthier and more fun life!! She's a gem! Very smart, available and responsive. Terri is a great support to my changes and never gives up on me even whrn i fail to respond to her. Glad to have her. Until a recent crisis where I was searching for immediate counseling, I had no idea that such an amazing and accessible service existed. I filtered through the list of available counsellors and felt an immediate impression that I could connect with Terri Sawyer. Her response time is always very quick, she has given me great new insights into my struggles and how to resolve them. Her approach is very personal and real, with no false pretense. Her authenticity in concern for helping me find success and healing in my journey allows me to be more authentic when discussing my concerns. I really love the flexibility and being able to deal with counseling time to the various modalities that are available here. I’m also deeply grateful for betterhelp.com and Terri Sawyer. Terri has created a safe space for me to discuss my feelings. There is no judgement. She always gets back to me when I need to share something... Those 3 things, a safe, judgment free zone, where I feel heard... are something I've never had before. I'm thankful I took a chance on betterhelp! I have never participated in any formal counseling with a therapist before. Terri has made the process very inviting and has helped me tremendously in coping with a stressful situation that I’m going through. She has made it very easy to talk about current and past difficult events in my life and given me practice tools for coping with the issue facing me. Terri has been a wonderful support! She really listens to my concerns, and offers great suggestions and "homework" to help support my therapy goals. Therapy is something I really have been looking forward to and I feel like it is really helping. Terri has been such a big help and listens to me and tries to suggest ways to help me deal with my personal issues with myself and my relationships with others. Although I can’t wait for the day I no longer need help with my personal issues, I am very glad she is my counselor. Working with Terri has been great! She's giving me tools to navigate my issues and is there to listen and troubleshoot with me. I can't wait to see what else is in store as I continue my counseling. Terri is wonderful! She quickly made me feel comfortable. She is easy to talk to and listens well. Her challenges help me to think on a deeper level. She teaches me healthier ways to cope with things that trouble me. Thank you, Terri! I've been talking to Terri for about a year now. I think I needed someone to talk to after I had finished my grief counseling after my husband's death. I tried on my own for about 18 months, but found I was slipping back into depression. I hadn't tried online counseling and was a bit leary, but really seemed to click with Terri from the start. We share an interest in troubled youth, in particular those who fall through the cracks. That helped me relate to her as a former foster child myself. She is available, kind, good sense of humor (we all need that! ), listens, shares and seems to understand no matter what I share!! Her empathy and compassion have been so supportive. It's a little bit like talking to my husband. I'm very glad I took the chance. Terri is an excellent counselor and person. She always sends me a message, even when I forget to log-in and message her back. She definitely understands what I'm going through and has offered excellent solutions, tricks, and techniques that have been very successful. I'm much better off today than I was when I first began meeting with Terri. I had seen a couple of therapists previously prior to connecting with Terri...and I had just about given up on the idea that therapy could really help me. Enter Terri. She has been fantastic and just what I needed. Open minded, thoughtful and caring, she has really helped me without being overbearing. I also appreciate her upbeat attitude and the fact that she doesn't take herself too seriously. Oh, and she knows her stuff. Great background that has helped with my wide variety of issues anyway :). This is my second time using this kind of service. The other company and counselor were terrible. Better Help and Terri have made my life better and I am grateful. Amazing, she is smart and has a style of helping everybody. It's so nice to talk to her and not feel judged. Terri is very personable and relates well to me. I feel comfortable talking to her and I have had really bad experiences with counseling in the past, but I feel really comfortable talking with her. Terri is WONDERFUL. Very responsive and knowledgeable. I've been with her just a couple weeks and already I've made huge progress and feel much better. Terri has been absolutely lovely in pushing me to come to terms with my abuse and walking me through my emotions and finding peace in my past. Thank you for your help! I love her. She is supportive,cheerful, and helpful. I'd recommend her to anyone. Terri has been extremely helpful in assisting me in gaining perspective on my depression. I'm making great strides to bring in control again. Terri has really helped me through a rough patch. I felt like I was drowning and didn't know who to turn to for help. Having her as a resource whenever I needed guidance and understanding has made all the difference. I would highly recommend her. She is the bomb diggity! I have really liked that we have been able to connect on some real life issues and beliefs that help me to relate to her as a person and on a real level. Terri truly takes her work seriously, is very responsive, great listener, and very supportive - so happy to work with her! Terri is fantastic and has quickly become one of my good friends! I feel like I can turn to her for anything! She has helped me work through some of my anxiety and has really changed my life! I love her!! Terri is a great counselor! Terri is wonderful. She is cheerful and supportive, but never makes me feel overwhelmed. She has realistic, positive solutions to my issues. Terri has helped me so much. She listens, she doesn't judge and she reaches out to you if you start to withdraw. She cares! 6 months ago I was barely eating, rarely showering, never leaving my house, and my relationship was falling apart. I still have a lot of work to do but I'm now pushing myself to go to the gym at least once a week, I'm eating better and taking care of myself better, I'm working on my artwork again and the tension in my relationship has reduced dramatically. I would recommend her to anyone seeking therapy! Terry is knowledgeable and caring. She is genuinely concerned about how I am doing. She listens. She asks questions and gives insights to make me think about my life, and about the choices I need to make to create a health and bright future. I apparexiate the goals and assignments that she gives me. She regularly checks in on me. I appreciate her! Responds in a very timely manner and let's her clients know if shes going out of town or not going to be able to respond for a while. She really likes to know how things are going and what you've been up to. She remembers little things and asks about them every once in a while. Love her. She is always checking up on me and helping me out and always so supportive no matter what kind of day I am having! Terri has been such an angel in my healing experience. She has been patient and kind and I've really appreciated her expertise. Thank you so much Terri! I am happy I got partnered up with Terri!! She is so kind and caring and easy to talk to :) She listens and helps out with useful advice. She is also supportive and encouraging, which is something I really needed during my difficult time. I am happy so far with Terri!! I really have appreciated the consistent & helpful responses from Terri. I am definitely getting things out and actioned and just sorting thru things productively that I wasn't able to do before Better help & Terri. Def recommend Terri. Terri is a wonderful counselor - attentive, kind, understanding, I recommend her to anyone using BetterHelp. I've spent the last 8-10 years of my life. (I'm 27 now and have been searching for quality mental help since I was about 18) I can't believe it took me this long to find Terri. She is the type of therapist that suits me perfectly. She is the first medical professional to listen to me, understand me, and work to move forward. EVERYONE else. Passed me along. My best guess is that I've held it together for so long they didn't believe I needed the help. Terri is the first one to actually offer some and I really appreciate it. Life saving honestly. I always had a hard time going to therapist. I was uncomfortable with the thought of doing therapy again. Terri made me feel comfortable right away. I feel like I could trust her and open up. She is helping me heal on my journey. Terri is being a great help for me. It's exactly what I needed. Although we come from two very different backgrounds, she almost immediately understood me and I felt I was talking to myself. Terri has helped me so much in the short time we’ve been talking. Terri is a fantastic therapist. She helped me in so many ways that I have no words to express my gratitude. She is friendly and helpful and is always there for you even in the darkest of hours. Thank you Terri! Terri is an amazing counselor. I feel so comfortable talking to her and she helps me figure out solutions to my problems in a kind way. Terri is SUPER timely in getting back to me. Terri is a fabulous counselor! She has helped me so much over the past few months and has such specific, useful advice. I feel I can talk to her about anything and that she’s always there for me. I would highly recommend her to anyone struggling with transitions and self-identity. Terri is just wonderful! She treats me like a friend but also a therapist at the same time. When I talk to her, it's like I'm talking to a friend. I don't generally like to "burden" my friends with my struggles because I just feel like that 's not really ok. But with Terri, I feel like she responds to me the way I would expect my friend to but also helps me with my struggles. She is wonderful. She was there for me when I needed her. She was positive and helpful. Terri is sharp and empathetic. I appreciate her time and council. Terri is understanding and curious without being judgmental, and takes concerns seriously. She is an amazing support base. Terri Sawyer is a lifesaver! Great listener and gives great advice or ideas to learn and improve myself. It has been a positive experience. Its so nice to have someone completely non-judgmental to talk to. Terri is great and I feel like she is helping me make goals to help me overcome my issues. At the beginning of therapy I was lost, and I hated the world. I definitely do not hate the world anymore, I smile all the time now and I’m not angry. Terri has helped me so much to take all my bad experiences and turn them into something good. Terri was helping me for almost 3 months. I am so grateful that I got Terri as my counselor, she helped me when I needed it the most. Terri is very kind and supportive, it's been a pleasure trusting her and talking with her. Thanks Terri for being here for me. I am going through separation but you are my best friend. I love talking because you give me comfort. Terri has helped me so much! All her tools and suggestions are really helpful. She is supportive and kind. I feel like talking to a friend. Thank you so much for guiding me! Terri is an amazing counselor! She is always available and so kind and helpful. I love her! She has helped my so much by really listening to me and helping me solve my problems. No matter how little or big they are. She has also given me tools to get past major and little things when she can’t respond to me. In my sessions with Terri.....I have found her to be a wonderful listener and to grasp the meaning of what I hope to obtain in our work together. She will challenge you and make you think beyond the box and I highly recommend her professional services!!! Terri is awesome. I lost my wife very un-expectedly and she has been responsive, empathetic and encouraging through this experience. She has really allowed me to process, learn and grow. Terri is a great therapist and a lovely human being with tremendous compassion and empathy. Highly recommended. Terri has been amazing!! I feel like she has been right by my side through my hard time. I trust what she is telling me and I feel like she speaks my language. She is so great at being able to reach me and help me understand how and why I'm feeling this way. Thank you Terri. Terri is an amazing! I think about her everyday and even though I haven't been able chat with her. She did help me in a short amount of time tons! I recommend highly of her. Terry is amazing. I have not participated in therapy this far and haven't sent her info requested or responded. But that didn't stop Terri from reaching out to me frequently even if it was to drop a line to say hello and check on me or send me an article or a thought that was relevant to what I was going through. It felt like a friend reaching out to me when I needed it. I am now ready to begin therapy and start healing, and without Terri and her patience I wouldn't be doing it. Thank you Terri! Terri is extremely open-minded and knowledgeable about my needs. It seems she truly cares! Terri is amazing. She listens and always gets me to laugh when I can't smile. She gives you enough space but also pushes you. I'm extremely impressed by her. Terri is terrific! She listens well without judging and helps me to reduce my stress and find some peace! Terri is an amazing counselor, our first session was just great it was as if she knew me forever. She shows that she cares and she is all around amazing and so kind. Love her dearly. If you want to feel like you're working with someone who cares like a friend, I'd recommend Terri. She isn't passively there and offering answers only when you send an inquiry. Terri is responsive and actively looking to keep the flow of communication open. She has thoughtfully contacted me to follow up, or offer a call when I haven't responded for a few days. This helps me to focus on making progress with what we've discussed. Terri is awesome, I was struggling to stay committed to my counseling but she very consistent about letting me know she was there for me. Terri has helped me by processing the best way to cope and help my father. It was very important to talk to someone who cared and provided effective empathy and alliance. Thank you for what you have done. I recommend Terri very much to help with secondary trauma and feelings of anxiety. I loved Terri and wish that medicare paid for more help with her. I went with what they would help cover! I'm sorry! Terri is awesome! I am so thankful to have her as my therapist! She in constant communication and always challenging you to think about things in a different fashion. What a great therapist! Thanks, Terri! Terri is the most understanding and supportive person I have ever spoken with. She makes me feel like I've known her for years which makes it so easy to open up and speak honestly with her. She has been the biggest support through a very tough time. An amazing lady who is great at what she does! Terri has a compassionate and skilled approach to therapy. Would you like to write a review for Terri Sawyer? We'd appreciate if you can spend a couple of minutes to write a short review for Terri Sawyer (LSCW). This review would be shared with Terri Sawyer. It may also be posted in our website or in Terri Sawyer's profile but it would be anonymous and your identity would be kept completely confidential.